Many young adults don’t. They accept a job mostly for the salary – everyone needs to get paid, after all. However, if you’re not looking at the overall benefits package your job offers, you could be losing out. I have to say, I’m super jealous of people who have 401(k)s through their employers, and even more jealous of those eligible for matching contributions. The places I worked at never offered one, and even if they did, I’m not sure I knew what the worth of such a package was back then. It seems as though plenty of my peers are in the same spot. If you don’t realize how awesome your 401(k) plan can be, read on to find out how to take advantage of it. WHAT’S THE PURPOSE OF A 401K? Very briefly, a 401(k) is the easiest way to get started saving for retirement. Yeah, that thing that’s looming about 40+ years on the horizon that you may have given some thought to. I know it’s hard to stay focused on the end goal, but remember, you shouldn’t be working just to survive. You should be working to thrive so you can build the kind of life you want to live down the road. Money you contribute to a 401(k) is on a pre-tax basis, which means that it grows tax-free, and is taxed upon withdrawal in retirement. We’ll talk more about this later. Suffice it to say, the earlier you can start contributing, the better. With 401(k)s available at many companies, it’s a low barrier to entry for investing for many young adults. This is key when it comes to taking advantage of compound interest. You want your contributions to earn interest, of course, but having your interest earn interest is even better! The earlier you start contributing, the better, as your interest has more time to gain momentum. WHAT’S THE BIG DEAL ABOUT 401(K)S? Okay, sounds interesting, you may be thinking. What’s the big deal? A lot of people have an aversion to investing in the stock market, because they’re unsure of taking on so much risk. 401(k)s tend to be less intimidating to invest in, and they’re very simple to set up. When you were hired, you likely filled out a bunch of paperwork you forgot about that’s lying around somewhere. Go grab that paperwork, and review the plan. Some employers will enroll you in automatic minimum contributions, typically 3 percent of your salary. The money is taken out of your paycheck before you see it, so it’s a very painless way to train yourself to save for retirement since you won’t miss it! In fact, you can increase your contributions by 1 percent per year, or whenever you get a raise, if you’re comfortable living off of your current paycheck. Since contributions are automatic, you don’t have to think about saving, which is good if you’re prone to spending your paycheck. Speaking of contributions, how much can you put in your 401(k)? The 2016 limit is $18,000, and if you’re 50 and older, you can contribute an additional $6,000 to catch up. Most of the time, your HR department is the one handling all of this, so they’re the ones you should direct your questions to. The biggest deal about a 401(k) is having an employer match. Before you get excited about this opportunity, I want to note that not all matches are created equal. Your employer may (sadly) not even offer a match. 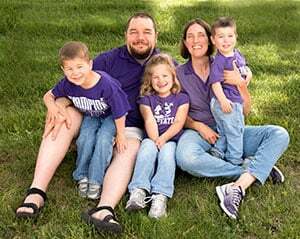 He went all-in: he contributed 94 percent of his salary to his 401(k) for a few months to max it out, and he received a paycheck of $19 during those months. Talk about dedication! His haste paid off when the company went under four months later. There’s a reason for the enthusiasm behind matching contributions. They’re essentially a guaranteed return – one you won’t get elsewhere. Let’s look at how this can play out. A 2013 study by Aon Hewitt revealed that the most common employer match is 100 percent up to the first 6 percent of your salary. What does that look like? Say your annual salary is $45,000. 6 percent of that is $2,700. So you know you need to contribute $2,700 for your employer to contribute another $2,700. You can always contribute more than that, but you’ll no longer receive the matching contribution since it’s up to 6 percent of your salary. If you contribute less, then your employer will only contribute what you did. That means you’re losing out on free money. In Jay’s extreme case, he contributed the maximum of around $16,000 (at the time), and his company contributed the same to his account. That’s $16,000 of free money. Where else in the world are you going to find a return on your money like that? If your employer offers it, you need to take advantage of it. Otherwise, you’re leaving a lot of potential behind. I realize it can be difficult to part ways with your money, especially when it’s (mostly) locked away until retirement, but it’s a must if you have an excellent match. Along with the guaranteed return and making saving for retirement painless, most 401(k)s are also tax-deferred, meaning contributions aren’t subject to federal income tax. Your earnings grow tax-free, although your withdrawals will be taxed later on. That also means your contributions directly lower your taxable income. This is due to the fact you’re making contributions with pre-tax dollars. If you’re earning $45,000 and contribute $3,000, then your taxable income is $42,000. For those of you earning more, this could put you in a lower tax bracket. Either way, you’re saving money on your income tax. 401(k)s have lots of advantages, but there are some disadvantages to be aware of. The biggest one: what if your employer doesn’t offer a match? Is it still worth contributing? Sometimes, the tax benefits can be more beneficial than investing in an outside account, but you need to run the numbers (or consult a financial advisor) to see what the right decision is for you. Free online tools by Personal Capital can help you analyze the funds in your account in comparison to outside accounts, so it’s easier to make the best decision. There’s also the fact that not all 401(k) plans are amazing. It’s worth taking a deep dive into your portfolio and the options available to you. Many 401(k)s offer target retirement date funds, which tend to be less expensive. If you’re investing in stocks or the funds available have high expense ratios, you should (again) run the numbers to see if fees are eating into your profits. Some people dislike that the money is locked up until you’re 59 1/2. If you want to withdraw funds before then, you’ll pay a 10 percent penalty. Not only that, but in many cases your employer will take about 20 percent out to cover federal income taxes (depending on your tax bracket). That means 30 percent of the balance is gone. Ouch! There are some exceptions to this, but the requirements can be difficult to meet. 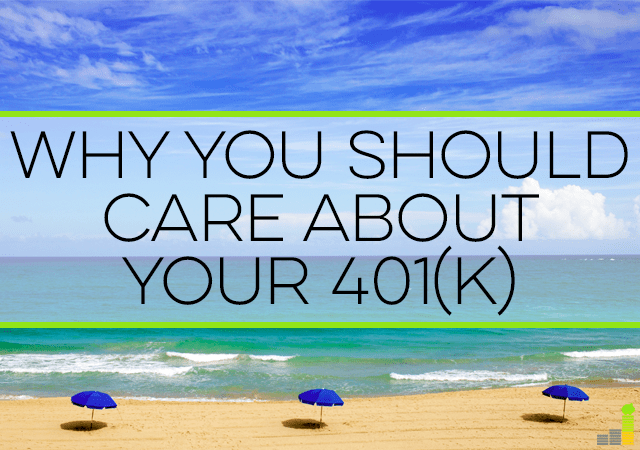 You’re better off viewing the money in your 401(k) as money you can’t touch until retirement. Now that you know the common benefits of your 401(k), you can make an informed decision as to whether or not to contribute, and how much to contribute. Note that you can also open a Roth IRA if you’d like to diversify your accounts (that’s another retirement account). For example, if you find that the investment choices in your 401(k) are lacking, but have an employer match, you can contribute up to the match and then focus on maxing out your Roth IRA. If you’ve still got money to spare, you can go back to your 401(k) or open a brokerage account. If you change jobs, it’s very important that you don’t forget about your 401(k) with your old employer. Absentmindedly leaving it behind, unattended can cause your contributions to become unbalanced. It’s better to keep an active eye on that, even when that means rolling it over to your new employer’s plan or another option. There are so many options to choose from as far as saving for retirement goes, but your 401(k) is going to be one of your biggest assets, especially when you’re younger. Take advantage of the power of compound interest, automatic contributions and tax-deferred savings and maximize your 401(k) as best you can. Do you contribute to your 401(k)? Have you always, or did you increase contributions later on? What are some other advantages and disadvantages of 401(k)s you’ve heard others address? I have been contributing to my 401k as soon as I joined the work force but have gotten more serious about it over the past couple years. This will hopefully be the first year I will max it out. Our plan is very good at my employer. The only fees we have to pay are for the funds and we have multiple Vanguard funds to choose from. 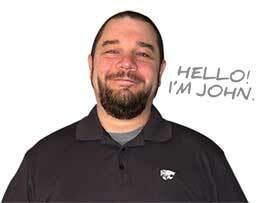 I’m able to put away up to $18k each year into funds with an average expense ratio of .08%. You can’t get a much better savings vehicle than that! Nice, that’s great! I’m super jealous. =) Way to take advantage of it! Of course! =) It was too good of an example not to share! If you leave your job, it’s almost always better to roll your 401K into an IRA rather than another 401K, due to the wider investment options. Just make sure you aren’t cashing it out…you don’t want to pay the penalties. 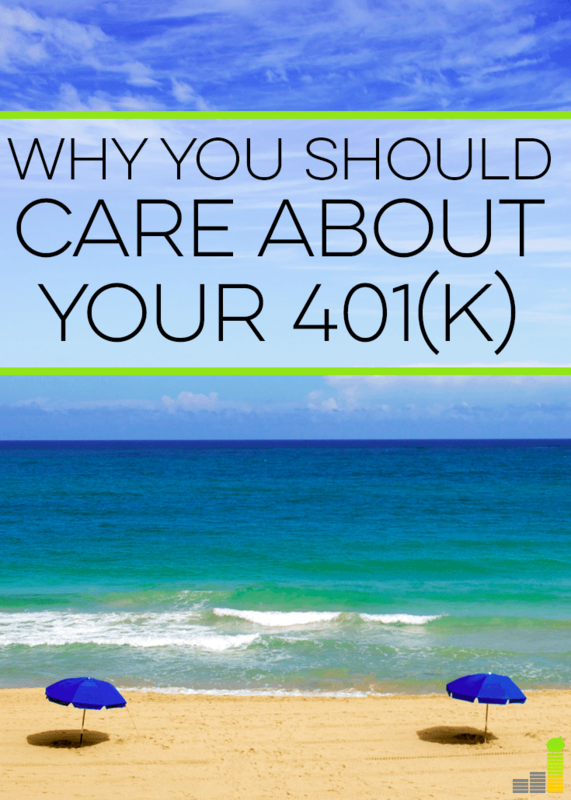 The 401K option is terrific and people should take advantage of it when they are with employers who offer one. But lots of plans are stuffed with high fee mutual funds and subpar options, and may have higher fees for ex-employees. Yes yes yes – definitely don’t cash it out! The penalties aren’t worth paying, and so many people don’t realize that they’re subject to such penalties. Yes to that, too. It really pays to evaluate your plan so you can make the right decision. Matching contributions = Free money! You should at the very least be investing up to the employer match to take advantage of the free money. The more money you can invest from the start the better because it’s the classic pay yourself first model, automatically deducted from your paycheck. During a pay increase typically annually for most companies is a great time to increased your contributions. This way you avoid taking the money home and spending it. That was a great summary, Brian! Totally agree. It’s a simple process once you understand all the pieces of the puzzle. We always contributed to get the match but we worked our way up to the maximum the last few years. I shudder to think how many people at my organization did not enroll. If we put in 5%, our employer puts in 8%. This is how nonprofits keep employees. They don’t give steep raises but they make benefits too attractive to walk away from. Way to go! That’s awesome. It’s so important to evaluate your benefits package for this reason. So many people aren’t aware of these things and it can make a huge difference in terms of your retirement savings strategy. One of my resolutions this year was to take full advantage of my 401k. I plan to max it out for the first time ever and hopefully will continue to do so for as long as I can. The tax advantages are fantastic but allowing your money to grow tax free for decades is the real key here. It kind of forces you to be smart with your money. Great comprehensive post. Thanks, Syed! Awesome resolution. It’s great to be able to take advantage of such an option. I’m glad to see so many people are! An employer match into a 401k is free money and I’m fortunate enough to work with a company that has one. I’ve definitely taken them up on their offer because I consider it to be a part of my salary. Each year when we receive merit increases, I increase my contributions into the 401k. My goal is to eventually get to 10 percent within the next 5 years. Woohoo, that’s an awesome goal! I like the part about considering it to be part of your salary. That’s a great way to look at it! I think people should care about their 401k because of all the tax benefits that come with it, not to mention the employer match that oftentimes is a benefit of the plan. I think more millennials need to start taking advantage of 401k, IRA, HSA, and other tax benefits. Definitely agree. I know taxes aren’t fun to figure out, but it can make a huge difference for your retirement savings down the road if you pay attention to it. Last year 2017, I opened a Roth IRA and Self employer 401k with Fidelity here in Ma. Don’t know why, but my money it is not growing at all for almost 1 year I’ve opened my accounts. What why is that? perhaps I’m paying high fees/ hidden fees?. What should I do next? That’s hard to say not knowing what you’re investing in and the associated fees. I will add that the market just turned positive for the year so it’s may not necessarily be that far off.